Edwards v. Navient Solutions, Inc., decided last November, contains both good news and bad news for distressed student loan debtors. The good news is this: Paula Maxine Edwards, a single mother of two children, was able to discharge $56,640 in private student loans under the Bankruptcy Code's "undue hardship" standard. Judge Janice Miller Karlin, a Kansas bankruptcy judge, ruled that Edwards had managed her private loans in good faith, in spite of the fact she had made only a few payments on them. And this is the bad news: Judge Karlin ruled that Edwards could not discharge $72,000 in federal student loans because Edwards was eligible to enter an income-driven repayment plan (IDR) that allowed her to make loan payments based on her income over a 20-year span. At her current income, Edwards would only be obligated to pay $21 a month. Obviously, this token monthly payment will not cover accruing interest on $72,000, which means Edwards will never pay off her federal loans. Paula Edwards, age 36, obtained a bachelor's degree in education from Newman University, a small Catholic college located in Wichita, Kansas. Newman University is expensive; currently, tuition and fees total about $28,000 a year. Although Edwards worked as a paralegal while she was in school and took no unnecessary courses, she wound up owing $151,000 in student loans. Edwards' degree from Newman qualified her for a job as an elementary school teacher. At the time of her bankruptcy proceedings, she was in her fourth year as a teacher, and her annual salary was only $35,300. Unless Edwards obtains more education, which she cannot afford, her salary is capped at $35,700. Edwards' student-loan debt fell into two categories. First, she borrowed $72,000 in federal student loans, which were eligible for modified payment terms. Second, she took out private loans totally $56,640 from Navient Solutions. Her private loans contained no provision for modified payment terms and bore interest at the rate of 9.75 percent. (She also borrowed $8,354 from Navient for Stafford loans, which she did not attempt to discharge). Judge Karlin refused to discharge Edwards' federal loans. The Department of Education represented that Edwards was eligible to participate in the Department's REPAYE program, which allowed her to make payments based on her income over 20 years. At her current salary, DOE told the court, Edwards would only be obligated to make payments of $21 a month. Edwards admitted she could make payments in this amount, and this debt was not discharged. However, Judge Karlin discharged Edwards' private loans owed to Navient. The judge noted that private loans, unlike federal loans, contain no provisions for alternative repayment plans such as REPAYE. Applying the three-pronged Brunner test, Judge Karlin concluded that repaying the private loans would be an undue hardship for Edwards. Judge Karlin ruled that Edwards met the first prong of the Brunner test, which required her to show she could not maintain a minimal standard of living if she were forced to pay back her private loans. Moreover, in Judge Karlin's opinion, Edwards met Brunner's second prong by showing that her financial situation was not likely to improve any time soon. As the judge pointed out, Edwards worked in a low-paying profession, and it was "highly unlikely" that Edwards' salary would increase significantly. Finally, and perhaps most importantly, Judge Karlin ruled that Edwards met the third prong of the Brunner test, which obligated her to show she had made a good faith effort to repay her student loans. Although Edwards had made no payments on her private student loans over the previous six years, her payment history did not preclude a good faith finding. As Judge Karlin explained, the Brunner test "requires the Court to determine if the debtor has made a good faith effort to repay the loan as measured by his or her efforts to obtain employment, maximize income and minimize expenses . . . . A finding of good faith is not precluded by a debtor's failure to make a payment." In Judge Karlin's view, Edwards had demonstrated "that she was really unable to make anything but a de minimus payment, if at all, on her student loans during the last six years." While it was true, the judge acknowledged, that Edwards had received tax refunds from time to time, good faith was not precluded by the fact that she had used the refunds to meet other pressing financial obligations rather than apply the refunds to her student loans. [W]hile it would be better for her case had she paid even $10 a month from her tax refunds, in light of her life situation--attempting to raise two children on her own with very little child support, and with a small income even giving her teaching degree--her minimal efforts should qualify under the totality of circumstances. There was no evidence she willfully or negligently caused her own default, and the Court does not believe she did. Edwards v. Navient Solutions, Inc. is a mixed bag for student-loan debtors. On the positive side, the court interpreted the "good faith" prong of the Brunner test in a sensible way. A debtor's good faith is not determined by the number of loan payments made but rather on whether the debtor made good faith efforts to repay student loans by maximizing income and minimizing expenses. In Judge Karlin's view, Edwards met Brunner's good-faith prong even though she made no payments on her private loans for six years. Unfortunately, Judge Karlin refused to discharge Edwards' federal student loans due at least partly to the fact that Edwards was eligible to participate in REPAYE, which allows Edwards to make minimal payments of only $21 a month based on her current income. Since monthly payments of $21 won't cover accruing interest, Edwards' federal loans will negatively amortize--her debt will grow larger with each passing year. Other courts have rejected creditors' arguments that college debtors should be forced into income-driven repayment plans as an alternative to bankruptcy relief. In the Abney case, the Lamento case and the Halverson case, courts explicitly recognized the psychological stress a long-term repayment plan can put on a debtor. Paula Edwards won a Pyrrhic victory in a Kansas bankruptcy court. She shed $58,000 in private student-loan debt, but she was forced into a long-term repayment plan for her federal loans that will require her to make token payments for 20 years. Given Edwards' likely income trajectory, she will undoubtedly owe double the amount she borrowed at the end of the 20 year payment term--not a just outcome for a single mother of two who made a good faith effort to pay off her student loans. Edwards v. Navient Solutions, Inc., 561 B.R. 848 (Bankr. D. Kansas 2016). We few, we happy few, we band of brothers . . .
More than 20 million people have college loans they can't pay back. For most of them, their oppressive debt grows larger every day, as interest continues to accrue. It is now common for people to owe more than three times the amount of money they borrowed for postsecondary education due to interest, penalties and fees that were tacked on to their original loans. Had these suffering souls borrowed money to purchase a pizza franchise or buy a house, they could discharge their debt in bankruptcy. Likewise, if they were financially crushed by catastrophic medical expenses or a divorce, they could wipe away their debt through the bankruptcy process. But because they borrowed money to acquire an education, student-loan debtors cannot discharge their debt in bankruptcy unless they meet the "undue hardship" standard set forth in the Bankruptcy Code--a difficult standard to meet. 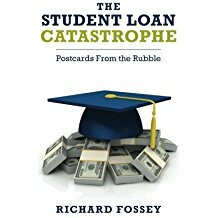 In fact, most people are so convinced that it is impossible to discharge student loans in bankruptcy that they don't even try. Jason Iuliano, in a 2012 law review article, researched bankruptcy court records and found that almost a quarter of a million people with student-loan debt filed for bankruptcy in 2007, but less than 300 of them even attempted to discharge their student loans. And indeed, discharging student loans in bankruptcy is daunting. Debtors are forced to file an adversary action--in essence, a law suit, against their student-loan creditors. Because people in bankruptcy generally have no money, they can't afford to hire an attorney to represent them in an adversary proceeding. In contrast. 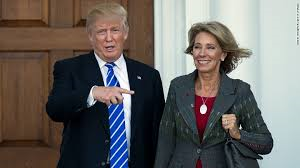 their debtors--the Department of Education, Sallie Mae, or debt collection agencies like Educational Credit Management Corporation--have lots of experienced lawyers to defend their interests. Nevertheless, a few intrepid student-loan debtors have filed adversary actions in bankruptcy court and have been successful, and many of them proceeded without lawyers. Alexandra Acosta-Conniff, an Alabama school teacher and single mother of two, filed an adversary proceeding to discharge $112,000 in student-loan debt. On March 25, 2015, a bankruptcy court ruled in her favor, discharging all her student-loan obligations. Acosta-Conniff won her case without a lawyer. George and Melanie Johnson, a married couple in their thirties with two school-age children, filed for bankruptcy in Kansas, seeking relief from $83,000 in student loans. In February 2015, a bankruptcy court ruled in their favor. Like Acosta-Conniff, the Johnsons won their case without a lawyer. Educational Credit Management Corporation, perhaps the nation's most ruthless student-loan creditor, was a defendant in both cases, and ECMC appealed both rulings. But the bankruptcy judges in both cases wrote persuasive and well-researched decisions,and Acosta-Conniff and the Johnsons have good prospects for prevailing on appeal. Finally, we have Michael Abney, a single father of two, who borrowed $25,000 to pursue an undergraduate degree he never obtained, and was living on less than $1200 a month. He went to bankruptcy court without an attorney and defeated the Department of Education. Abney's case was decided in November of this year. These few, these happy few . . . Let us salute the courage of these brave individuals, who went to bankruptcy court without lawyers and were victorious. And let us salute the bankruptcy judges who rose to their duty to give honest but unfortunate debtors a fresh start--which is the very purpose of the American bankruptcy courts. Acosta-Conniff v. Educational Credit Management Corporation, No. 12-31-448-WRS, 2015 Bankr. LEXIS 937 (Bankr. M.D. Ala. March 25, 2015). Johnson v. Sallie Mae & Educational Credit Management Corporation, Case No. 11-23108, Adv. No. 11-6250, 2015 Bankr. LEXIS 525 (Bankr. D. Kan. Feb. 19, 2015).